MAE SAI, THAILAND—A Thai navy diver working as part of the effort to rescue 12 boys and their soccer coach trapped in a flooded cave died Friday from lack of oxygen, underscoring risks of extracting the team. 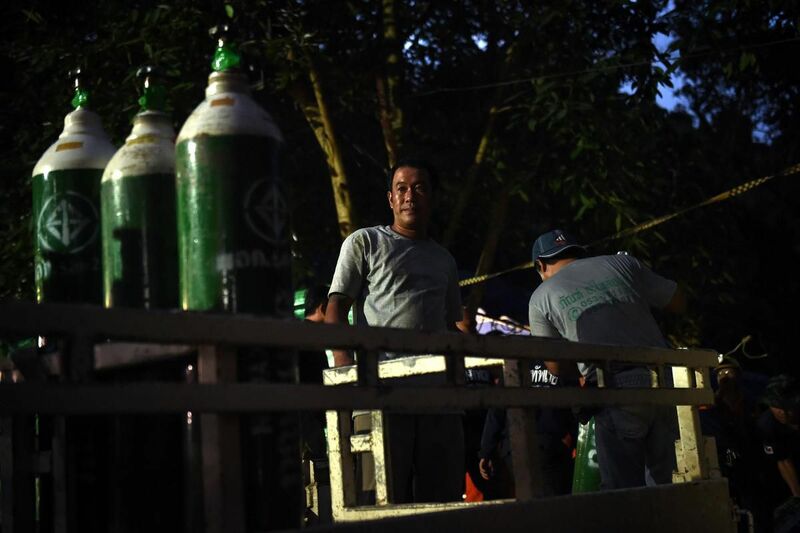 The rescuer, a former Thai SEAL, was working in a volunteer capacity and died during an overnight mission in which he was placing oxygen canisters, Thai SEAL commander Arpakorn Yookongkaew told a news conference. He said while underwater, the rescuer passed out and efforts to resuscitate him failed. On Thursday, Chiang Rai provincial Gov. Narongsak Osatanakorn said he asked the SEALs in charge of extraction plans to estimate what sort of a risk would be involved to bring out the boys and their coach even though they weren’t 100 per cent ready for a risky hourslong dive. Officials prefer to get the boys out as soon as possible because heavy rain expected by Saturday almost surely will raise water levels again in the cave, making passage in some areas even more difficult, if not impossible. They are hoping that an upgraded draining effort can lower the water in an area where it is still at or near the ceiling. The idea is to get some headroom so the boys would not be reliant on scuba apparatus for a long stretch and could keep their heads above water. The governor has said the 13 may not be extracted at the same time, depending on their condition. They’ve practiced wearing diving masks and breathing, in preparation for the diving possibility. The boys, aged 11-16, and their 25-year-old coach went exploring in the Tham Luang Nang Non cave in the northern province after a soccer game June 23. Monsoon flooding cut off their escape and prevented rescuers from finding them for nine days. The boys, although skinny, have been described as in good health. Authorities have said the soccer players are being looked after by Thai navy SEALs, including medics, staying with them inside the cave.